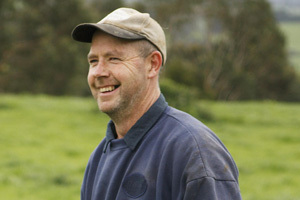 Peter has been on the farm his whole life and is a 4th generation dairy farmer. Along with Ash he runs the dairy farming side of the operation. Everyday activities obviously vary a lot, but some of the regulars include milking twice a day feeding the calves and checking our alternate block where the young cattle are raised along with general maintenance such as fencing and weed control. Peter is also called upon to lend a hand with the chooks when Toby or Wendy is away. Wendy is a very versatile part of the business. Predominately her time is spent on the chook side of things. But also lends a big hand to the lads by helping them with cow duties to enable everyone to have a little free time to keep refreshed. On the chook front Wendy spends a lot of her time in the egg room where everyday tasks consist of running the eggs through our grader, where they are candled and weighed. They then require cleaning and packaging. Wendy is also a director on the True Organics board which takes up some of her time. Ash is the youngest son on the farm who commenced farming at the age of 16, he works hand in hand with Peter on cow duties. Ash is determined to scale back the herd and re-build it with high quality cows that have good pedigrees and therefore have greater longevity and resilience against any diseases, mainly mastitis. 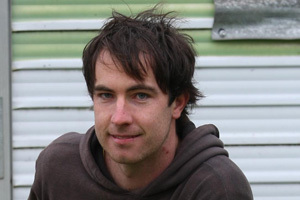 Ash has always had a strong desire to continue the family farm and has a very good understanding of the land and what it takes to gain the most benefit out of it. 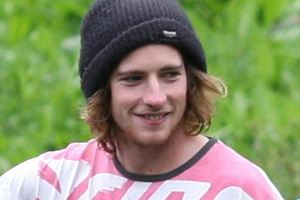 Toby is the eldest son and also the most recent member to join the farm. 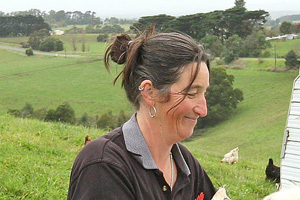 After a few years in retail Toby was lured back onto the farm to run the chook section with Wendy. Since joining in 2010 the egg production has doubled in size and is constantly growing larger by the day. A few of Toby's duties include, feeding of milk in the morning/collecting of eggs. The eggs are then collected again in the evening and all dogs are fed. Toby delivers the eggs to Melbourne weekly on a Tuesday. The vans are also moved on a Monday, Wednesday and Friday nights which Toby and Wendy both do to save on time. The cow herd are also a large part of our team and they consist of about 150-160 milkers that are largely Freisan (Peter and Ash breed & register their favorites) with a few Jersey and cross bred cows as well. Every cow is named and Ash & Peter can stand in the paddock and tell you who each cow is by name, who her dam (mother) is, and who her sire (father) is. They are very passionate about their cows and very competitive when it comes to who's cow is performing the best on test day, which happens once a month. The chicken (chooks) are the other major part of our team. They are housed in groups of no more than 200 and each group has its own holiday van that travels around the farm to give them fresh grass and bugs every few days. The vans have everything the chooks need in it including their nesting boxes, their roosts, food and water as well as being a safe and warm place on those wet days and a place of shade and coolness on those hot summer days. The vans are never far from trees so that the chooks can dirt bath to keep their feathers clean. Each van has another valuable part of our team with it in the form of a Maremma dog that looks after the chooks to keep any predators such as foxes and wedge tail eagles away. This also means that the chooks don't have to be locked up at night and are free to rise and bed down with the sun. Apart from providing beautiful eggs they also provide a fantastic source of fertilizer as they move around the farm.